As of now, around 7 Public Sector Banks are working without Chief Executive Officers. By the end of August 2018, three more CEOs are going to leave banks to make 10 PSBs without heads. Since April this year, there has been vacancies for the CEO’s post at Andhra Bank, Dena Bank and Punjab & Sind Bank. Last month end, Rajeev Rishi, CEO of Central Bank of India, left the bank after completing his five-year term, while Rakesh Sharma of Canara Bank turned 60, the retirement age for a CEO in a PSU bank. Allahabad Bank board has taken away all executive powers of the bank's chief executive officer Usha Ananthasubramanian, after the Central Bureau of Investigation named her in the Rs 13,700-crore Punjab National Bank-Nirav Modi fraud, while the pune police recently arrested Ravindra Marathe, the MD & CEO of Bank of Maharashtra for extending around Rs. 30 billion fraudulent lonas to Pune based DSK Group. By September end, the term of B Sriram, CEO of IDBI Bank, too will come to an end. Similarly, PK Bajaj of United Bank and RK Takkar of UCO Bank too would be ending their terms this year end. 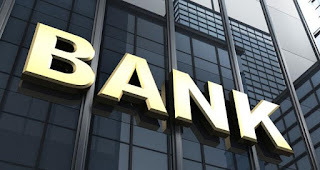 Notably, all these banks have reported losses last fiscal year and the government need to appoint their CEOs as soon as possibly so that they are given the responsibility to fix the banks. The Banks Board Bureau, an autonomous body of the Government of India tasked to improve the governance of Public Sector Banks, chaired by Bhanu Pratap Sharma, has already recommended a list of 14 candidates for the posts of CEOs for Public Sector Banks, but the government has not yet cleared the names for the positions.